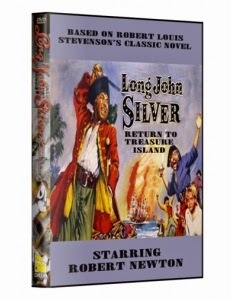 After the Treasure Island adventure, Long John silver (Robert Newton) turns up on a British Caribbean island, where he hears that rival pirate Mendoza has taken the ship carrying the governor's daughter... and his young friend Jim Hawkins. Naturally, there's more to his rescue plan than meets the eye; he hopes to get a new ship and go back for more treasure. [CLICK HERE] FOR ALL THE BOOTY! He conquered an empire with his sword then the pirates of the world! 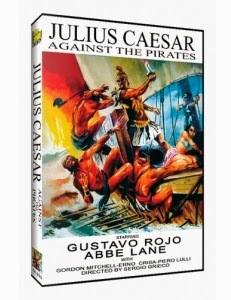 Julius Caesar flees Rome because of a conspiracy against him and takes refuge by the King of Britania. He finds a woman there and while he escorts her to Rhodes their ship is attacked. Caught by the pirates he asks for help to get back to Rome. [CLICK HERE] TO HAIL CAESAR!